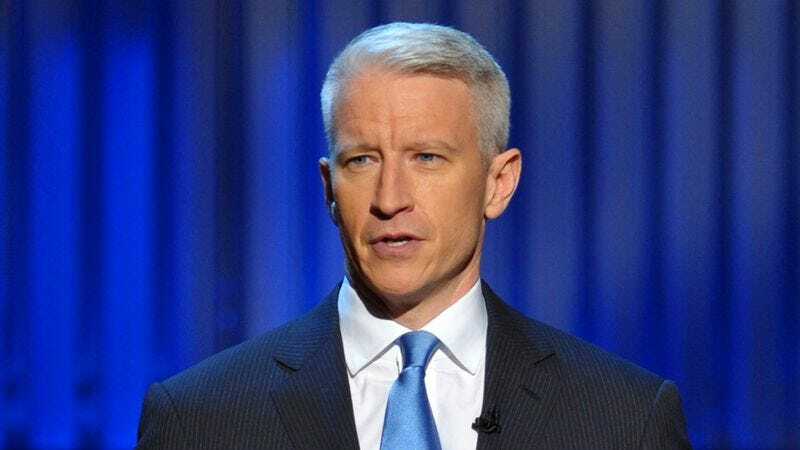 NEW YORK—Roughly two hours into the network’s live nine-hour-long “Election Night In America” programming block, CNN anchor Anderson Cooper informed viewers Tuesday evening he is only moments away from delivering the first piece of genuinely significant information of the day. “Folks, you’ll want to stay with us, because it’s only a matter of minutes before we show you today’s first meaningful, truly pertinent election update,” said Cooper, adding that as early as 7:30 p.m. EST, the network would be reporting some legitimately consequential news that would actually make CNN’s election broadcast worth watching. “Stay with us here on CNN for continuing election coverage, because you won’t want to miss it when we provide a development of actual consequence. Until then, we’ll send it over to John King.” After Cooper eventually revealed some concrete information on early returns in New Hampshire, CNN reportedly placed a 30-minute countdown clock on the side of the screen that displayed how long it would be until the network breaks the next piece of even remotely noteworthy election news.